The Apple Pie tasted just like the real thing. All it needed was a scoop of vanilla ice cream – and it would be a little piece of heaven. Oh, but did I mention, you can do that also? Citrus Delight is quite colorful with the lemon and lime zest, and was quite tasty too. Blackberry Sorbet was just beautiful with its purple berry icing, topped with a few pieces of black berries and whipped cream, fantastic. Strawberry Lemonade also a beautiful shade of red and white icing, was just as good as it sounds! White Coconut Macadamia has to be one of my favorites. 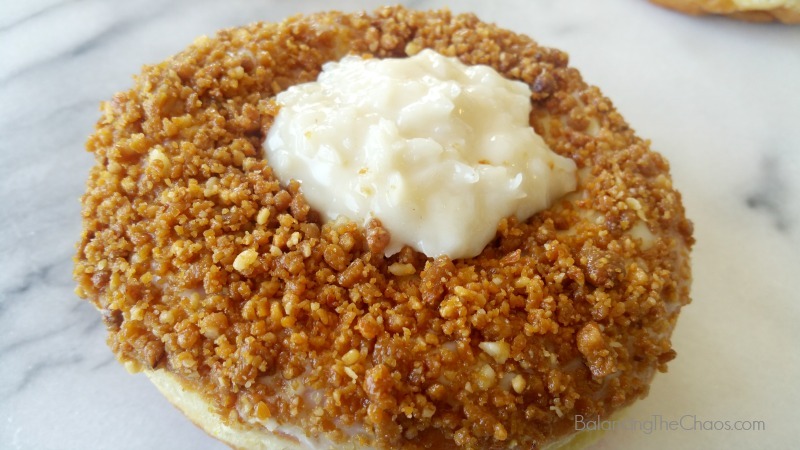 I’m really not a lover of coconut, but this dollop of coconut cream in the middle of this fantastic donut with white chocolate and bits of macadamia nuts was just fantastic! Carrot Cake, my absolute favorite type of cake, was great as a donut. 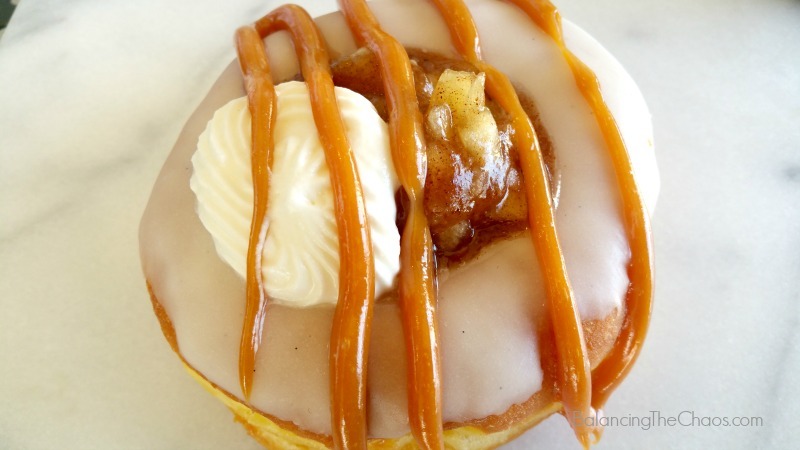 The consistency of the donut itself, was dense and the frosting gave it an added spiced carrot touch. This flavor sensation will keep you coming back for more. In our house, Poqet is quite the HIT! The kids are looking forward to a “play date” and bringing some friends along. Wonder what type of creation they will come up with. Stay tuned! 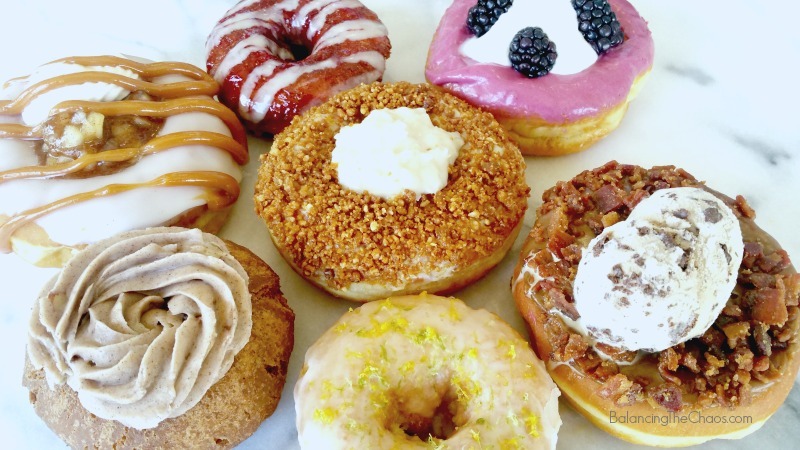 For more information about Poqet Donuts, visit their website or connect with them via social media: Facebook, Twitter, Instagram.